Click Here To See Robin #93 Comic Book! 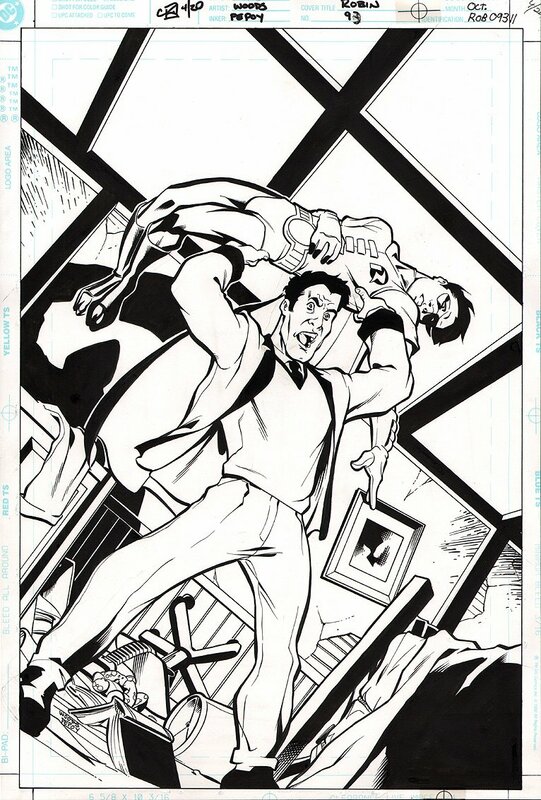 Check out this very nice Robin cover which was penciled by Pete Woods, and inked by Andrew Pepoy, from the story titled: "Close to Home!" 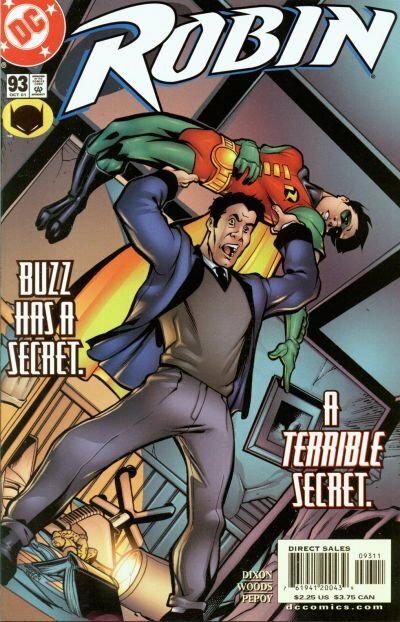 This nice cover features Robin getting beaten up, as BUZZ gets ready to throw him over his head! Just a nice Robin cover! Compare this nice cover art to the published comic book in the red link above!